As a general dentist, Dr. Randall Nameth provides a number of dental care services at our Worthington dental office. Our complete family dentistry care covers people of all ages, from young children to older adults. Family dental care helps us prevent decay, disease, and damage from affecting your oral health. 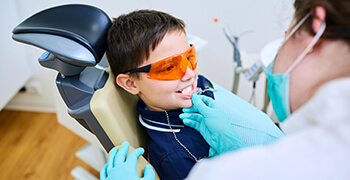 From regular cleanings and checkups to care for children including dental sealants and fluoride treatments, Dr. Nameth has your entire family covered. 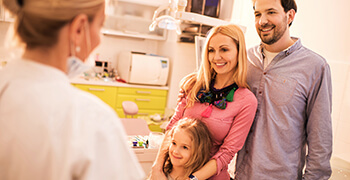 Dental checkups and teeth cleanings are an essential part of every oral health care plan at our Worthington, OH practice. 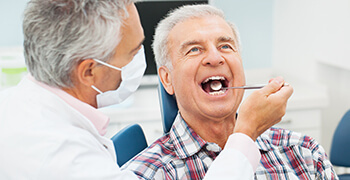 During these twice a year checkups, Dr. Nameth and his team evaluate your smile for signs of common oral health conditions, provide thorough professional cleanings, and partner with you to keep your smile whole and healthy for a lifetime. During each visit, we use the latest diagnostic technologies to assess your current state of oral health, and we complete a visual and tactile examination of your teeth, gums, and smile. This allows us to screen for the most common oral health conditions including tooth decay, gum disease, teeth grinding or clenching (bruxism), temporomandibular joint (TMJ) dysfunction, and oral cancer. 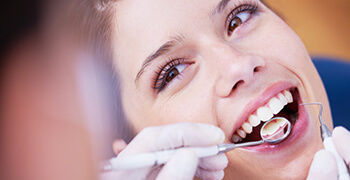 One of our skilled hygienists will carefully remove plaque and tartar buildup from even those parts of the smile that are the most difficult to access. Finally, we’ll sit down with you to discuss your plan for ongoing oral health care. Sealants allow us to help protect your smile from tooth decay and gum disease. Dental sealants create a protective coating that keeps bacteria, plaque, and tartar from accessing and damaging dental structures. We typically recommend this treatment option for younger patients, but sealants are beneficial for anyone who experiences frequent decay. Those patients who have very deep pits and crevices in the biting surfaces of teeth may especially benefit from treatment with dental sealants that fill in these deep pits and grooves where bacteria and plaque can accumulate. The treatment is fast and effective. Custom oral appliance therapy can treat TMJ dysfunction as well as teeth grinding and bruxism. These custom-crafted oral appliances are worn during sleep. To promote healing and relieve pain for TMD sufferers, oral appliances position the jaw in its most comfortable resting place. This relieves unnecessary strain on the jaw joints that can lead to TMD. The appliances also place a physical barrier that will prevent potential damage and wear caused by teeth grinding and clenching. Worn on a nightly basis, these guards protect your smile, relieve pain, and restore full, pain free jaw movement. Periodontal disease, more commonly referred to as gum disease, occurs when plaque and tartar buildup irritates soft tissue which can lead to diminished gum tissue volume and the breakdown of bone density. 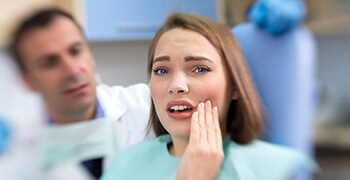 When this happens, the result is a condition that can lead to a variety of negative side effects including bleeding gums, inflamed or irritated soft tissue, chronic bad breath, shifting teeth, or even tooth loss in the most severe cases. We offer a variety of therapies to renew oral health following gum disease. In the earliest stages, known as gingivitis, we may be able to reverse damage and restore health with more frequent professional cleanings. When the condition is more severe, we may need to perform scaling and root planing. Scaling is the removal of plaque and tartar. Root planing is the smoothing of tooth roots to prevent future buildup. During a general dentistry visit to the office of Randall Nameth, D.D.S., you’ll receive a thorough dental hygiene cleaning and dental exam. 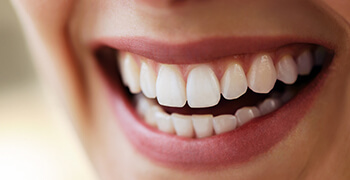 We can use ViziLite technology to check for signs of oral cancer, assess your bite for any signs of teeth grinding, and perform periodontal charting to check on your gum health. Gum disease is very common, and we can provide periodontal therapy for the treatment of gum disease at our Worthington dental office. If you snore or experience other symptoms of sleep apnea (fatigue, frequent waking, morning headaches) Dr. Nameth can provide sleep apnea therapy. Children are especially prone to develop cavities, so regular preventive dental care is very important for your child. Dr. Nameth will help strengthen your child’s smile against decay with fluoride treatments and dental sealants. Fluoride has been shown to make tooth enamel stronger, ensuring that your child’s teeth better resist the formation of cavities, while dental sealants cover your child’s teeth with a clear layer to seal out decay-causing bacteria and debris. Children need this extra protection while they’re still learning optimal care techniques. At Dr. Nameth’s Worthington, OH dental office, we’re happy to offer same day emergency dentistry appointments. If we’re unable to see you right away, one of our knowledgeable team members will walk you through how to care for your teeth until you reach our office. If you’re not sure your oral health condition requires urgent care, give us a call anyway. We’ll discuss your treatment needs, and schedule an appointment to repair your smile. Families from Worthington, Dublin, Westerville, Lewis Center, and the entire Columbus, Ohio area visit the dental office of Dr. Randall Nameth to experience his compassionate and attentive touch. Contact us today for an appointment. Oral cancer claims one life an hour on average in the US. The Oral Cancer Foundation recommends more frequent screenings to diagnose and begin treating oral cancer in earlier stages as the best method for decreasing the number of annual oral cancer-related deaths. We include screening for oral cancer as part of every six month dental checkup at Dr. Nameth’s Worthington, OH dental office. The screening is quick and completely painless. We can also use the ViziLite oral cancer screening device that allows us to more clearly see lesions and other potentially affected areas, so we can partner with patients to seek diagnosis and effective treatment in earlier stages than possible with visual and tactile screening alone.